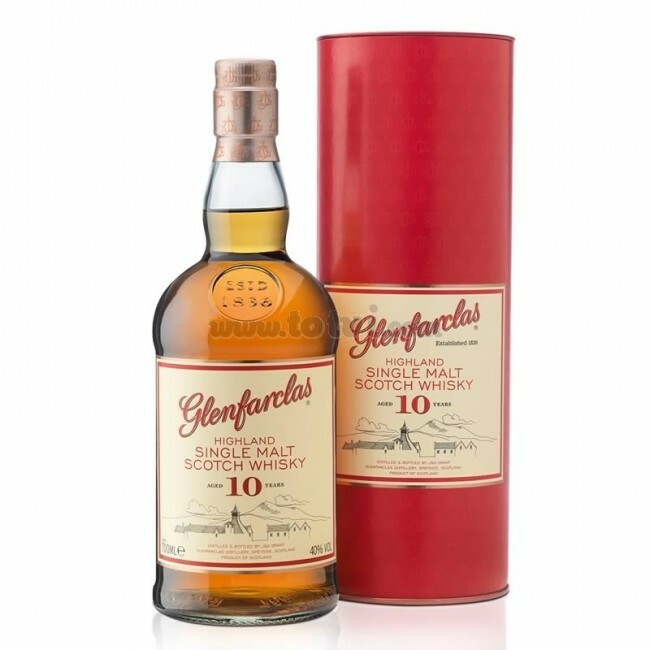 Glenfarclas Single Malt 10 years is a Scotish Whiskey soft and depth. 100% maturation in oak sherry barrel. Glenfarclas Single Malt 10 years is a Scotish Whiskey soft and depth. .
Straw-gold color very vibrant. On the nose, tempting shades of sweet malts from Jerez combined with delicate aromas of subtle spices. The heating of the glass reveals drops of honey, vanilla and pear. The palate is a delicately light whiskey with a delicious combination of malting and sweetness of sherry. We find touches of dried fruit, vanilla and cloves. Long, soft and spicy finish. 100% maduration in oak barrel of sherry.